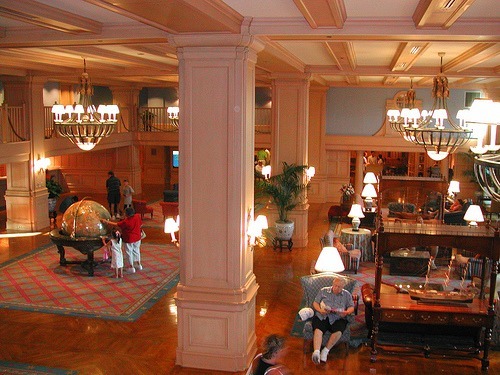 The Disney Yacht Club is a classy deluxe Disney resort. The hotel has a wide range of amenities and dining options. The excellent location in the center of Walt Disney World affords easy access to Epcot and Disney Studios. The Yacht and Beach Club are sister resorts and share many amenities, including an exceptional pool area and convention center. 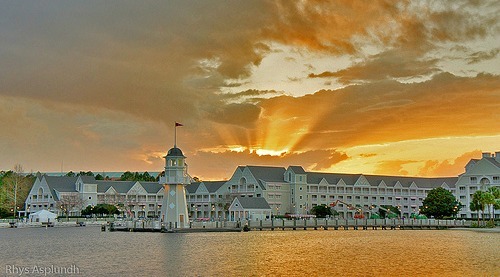 The Disney Yacht Club is styled after a New England yacht club from the late 1800’s. The hotel has a nautical theme and is more formal than its sister resort, the Beach Club. The five-story high buildings are grey with white clapboard. As expected on Disney property, the grounds are attractively landscaped. The elegant lobby is decorated with hardwood floors and brass fixtures. The theme is more subdued and not over-the-top like some other Disney resorts. The Yacht Club is a little quieter and calmer than the Beach Club. 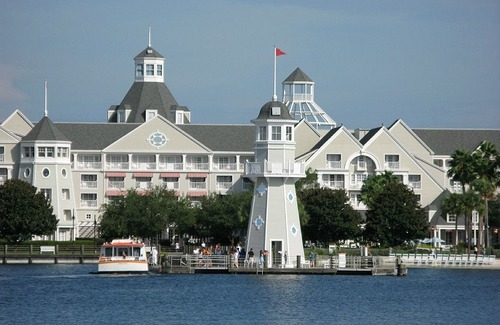 The Yacht Club Disney has 621 rooms with a nautical theme. Click for more information about the hotel rooms. The pool area, Stormalong Bay, is shared with the Beach Club and is the best resort pool on Walt Disney World property. The large pool has a sandy bottom, rocky features, a slide and a lazy river. There is a hot tub and kiddie pool. 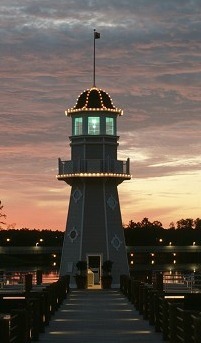 The Disney Yacht Club is located at the center of Disney World. Disney provides transportation from the hotel to the theme parks. Visitors can walk or take a boat to Epcot's backdoor, the International Gateway. 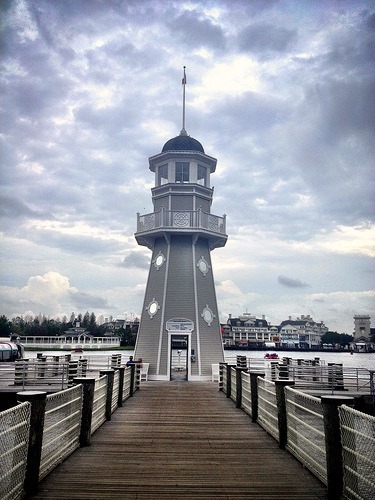 The Disney Studios can be reached by boat. Buses serve all other areas of Disney World. Click here for information on Yacht Club dining. The Disney Yacht Club is a lovely full service resort. Rooms are spacious and amenities are extensive at this resort. Location is one of the biggest perks of the resort providing access to Epcot, Disney Studios and the Disney Boardwalk. The Yacht Club is more adult-oriented than some other Disney hotels. Some may consider the hotel a bit stuffy. However, all Disney hotels are welcoming to children of all ages. The main downside to the Disney Yacht Club is the high cost. Expect to pay a premium for this excellent resort.